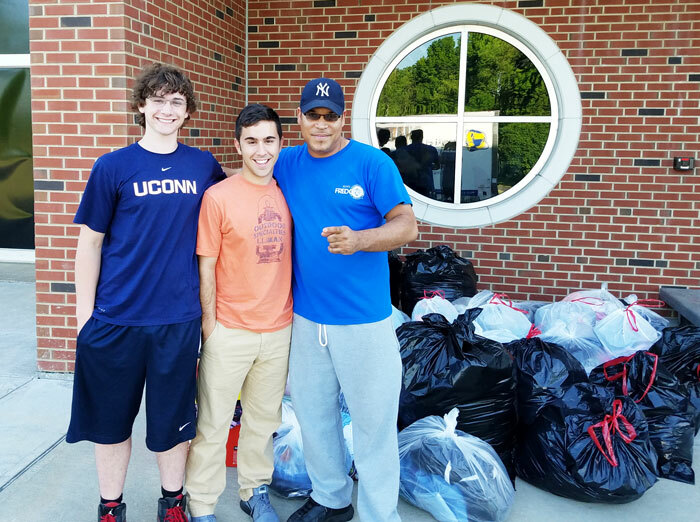 Planet Aid Helps Charles W. Baker High School Students Recycle More Than 1,000 Pounds of Clothing - Planet Aid, Inc.
Students Nick Spurchise and Nick Jerome with Planet Aid Transportation Manager Jose Delgado. Students from Charles W. Baker High School collected more than 1,000 pounds of textiles to be recycled by Planet Aid during a community clothing drive on June 3. The effort was part of a student group project for a government and economics class that aimed to raise awareness about global poverty. "I decided to collaborate with Planet Aid because during my research, they were the first organization that appeared that helped more on a global scale versus a local scale," said Nick Spurchise, one of the student organizers. "As I was reading more about the organization and what they did, I knew they were the perfect choice for the project!" Proceeds from the clothing collected by Planet Aid help support development projects in Africa, Asia, and the Americas. 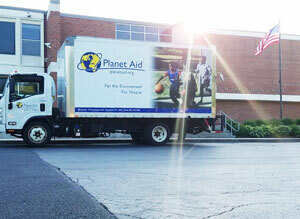 To learn how you can organize a clothing drive with Planet Aid, contact your local Planet Aid office.